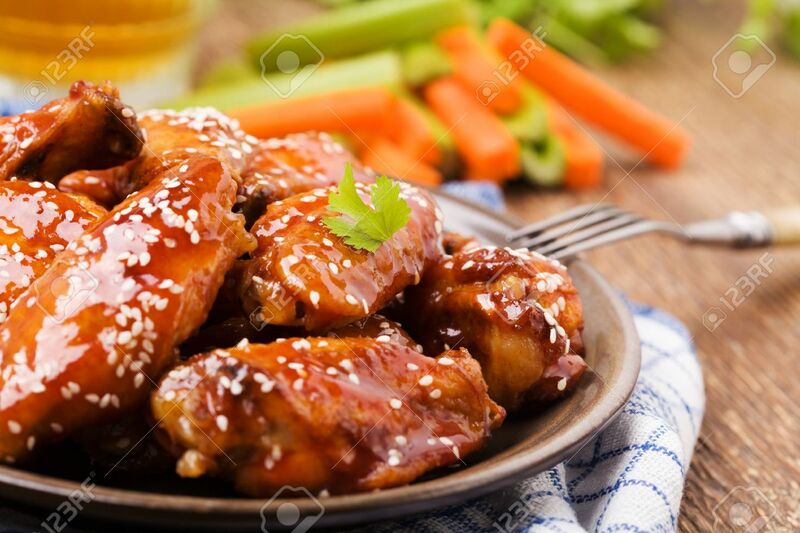 Baked Chicken Wings In Honey Sauce Sprinkled With Sesame Seeds. Banco De Imagens Royalty Free, Ilustrações, Imagens E Banco De Imagens.. Image 46277095.